In a special report, The Youth Radar talks to Chinese football website goalhi.com in a bid to find out how the sport in China is developping and what has to be done to promote the domestic game within the country. 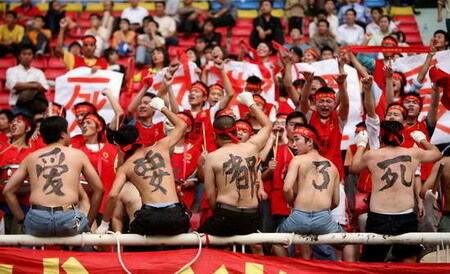 The Chinese are completely mad about European football. Most fans support an European side such as Manchester United or Chelsea as opposed to their local side in their domestic league. They love their football, but only the high-tempo and entertaining game that we watch every week – is that where the problem lies when it comes to football in China? A few weeks ago I received an email from Kyd, a writer at the biggest football website in China, goalhi.com. He explained this passion to me and asked me whether I’d answer some questions on youth football within our continent. I accepted and took the chance for him to return the favour and answer some questions about the youth set-up in China. I found one individual who believed that wasn’t too much of a popular youth set-up in the country and that the development of football within the country isn’t exactly positive. This is the personal opinion of a man who calls himself “Eaglion,” His views are fairly negative although he does make some interesting points about how politics can affect the game and how cultural pressures and government laws can make a huge impact on the development of a sport. “I do not think the government will spend huge money in the soccer, because football is a team work game, which means you can not win a gold medal to show the governors’ political achievement in the short term. In China, most governors would like to manage the individual game that can give the political achievement in the short term,” Eaglion basically says that the long-term progression of football is not a priority for the Chinese government. Olympic sports are much more popular within China as investment can be made to the individual in order to compete for one winner’s medal. Football is a game that has to progress with ten or twenty teams together, made up of a squad of around 20 players. It will cost a lot of money to start competing with the likes of Brazil, Spain and Holland. “Furthermore, In China, most parents do not like their children to become a professional sport player. The parents would like their children use their knowledege to earn money and study in university. In the traditional opinion, only the brainless people will use “Body Skill” to earn the money,” This is basically saying that education is seen as a much more respectable life choice. Chinese people are stereotypically smart if they have the correct upbringing. This reason for wanting to send their children into education as opposed to sport could also be aided by China’s unique one-child policy where parents are only allowed to have one child in order to fight against China’s ever-rising population. Everyone knows that sport is a risk. Many youth players in England get very far only to be struck down at the last hurdle. Fortunately for them, academy education systems give them something to fall back on but in China the academies are not advanced enough to offer this possibility. Even the top upcoming players in China find a choice between continuing their football and studying at university a very obvious one. Eaglion blames the government in China for disrupting the development of football. 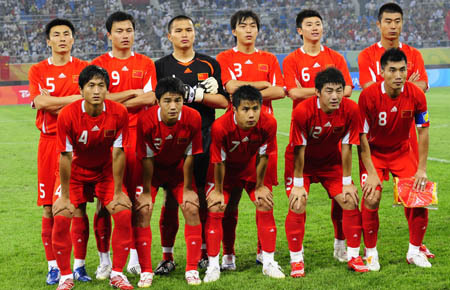 China are currently ranked 70th according to the FIFA World Rankings and in recent years have found themselves slowly falling. The enthusiasm of people in China deserves a better domestic set-up. If the government can show as much enthusiasm and passion as the fans do then China really do have the potential to become a world-beating nation. If the government can install the training which will produce the tempo and pace that Chinese fans so dearly want then the sky is really the limit for Chinese football. On behalf of my friends at goalhi.com I thank them for their time and really hope that Chinese football gets going and in the future China can become a real force to be reckoned with. Keep with The Youth Radar as we will soon preview some Chinese football in a more positive light as one of the world’s biggest countries has real hope of becoming one of the biggest footballing nations in the world. Note that not all opinions in this article are of goalhi.com and many opinions have been extracted from various websites. Anyway,Good luck to Chinese Football. Every day we get a little more sunshine, and are given a preview of what the next five months will bring.